That’s an insane number, especially for someone who blogs fairly sporadically and without consistency. It’s funny, I was staring at this blank post editor for a couple days now, not knowing what on earth to write about. There were so many negative topics: birthdays (I don’t like mine), not being in the house for Christmas, this time of year in general and stressful holidays, money, taxes, net neutrality. I could go on, but I won’t. I don’t want to talk about those things. I don’t want to be sad, or depressed, or angry, or whatever the heck this is. I have so much to be thankful for. My wonderful wife and child, the support of our friends and family, an awesome church, a place to stay, a good job. I’m also thankful for this. This little white box I’m typing words into. Sometimes it’s the little things we take for granted. The opportunity and privilege I’ve had to have an open forum to speak my mind for years now is not something that should be taken lightly. 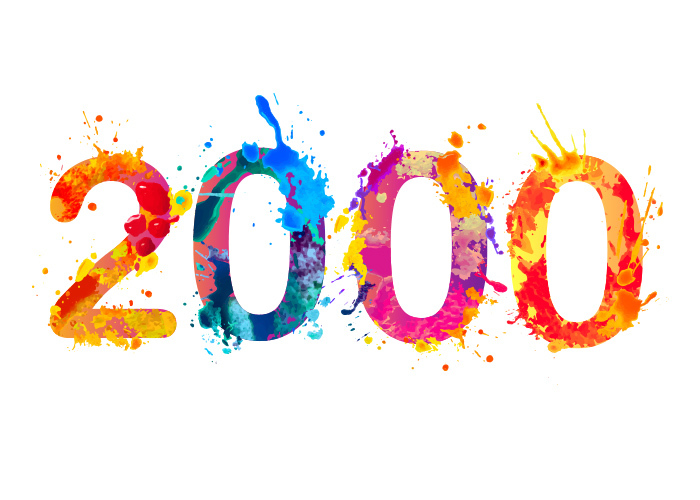 Even if no one reads them, these 2000 posts are something cathartic for me personally. I may not post every day. I may not post every week, but when I do it’s at least something I feel like I needed to say. Sure, some of those things might just be stupid pictures of baseball cards. That happens. Not because baseball cards are important, but because they were important to me at the time I wrote about them. It’s that sense of accomplishment, about collecting, that’s part of me. So, it’s not posts about cards, they are posts about me. That’s what we’re all doing. We’re not writing about things. We’re writing about things in our lives. Things we find interesting. It’s a little slice of our personalities. So, if it’s a post about me, there’s only one thing I want to talk about. Thank you to every person who read a blog post these past few years. Thank you to every person who listens to me ramble in real life. Thank you to our friends who love us and support us. Thank you to my father-in-law, who’s home we’ve taken over these past couple months. Thank you to my company for the time off and the gift-cards to help out. Thank you to my co-workers for being supportive. Thank you even to the government agencies who are trying to help. Thank you to two random guys from Dallas and their awesome fishing boat for coming to get us. Thank you to the local police department and fire department for setting up shelters and driving dump trucks through high water. Thank you to my friends in Dallas, who brow beat me until I accepted their charity, lol. Thank you to everyone who worked on our house, who did demo, ripped out sheet rock and pulled up carpet. Thank you for making us meals. Thank you for every message, email and card you all sent. Thank you to anyone who’s ever sent me a baseball card. Thank you for praying for us. Thank you for everything.